It does kind of sound like you're telling people what to do... and I get it: if you want to understand these "other realms" best thing to do is quit talking around the idea and jump right in and experience it for yourself, but honestly your comments remind me just a bit of people I used to know back in my fundy holy roller days. People have "an experience" and then its like they're Moses freshly descended from the mountain and still glowing and giving away free commandments. In my opinion these mountain top experiences have a creative AND destructive element to them. That destruction can be a good thing if you need a little destruction - if you've built up bad habits or bad mindsets or a big ego and need a refresh. And perhaps that is why these experiences are so positive for people when they don't constantly seek them but when these experiences happen to smack them in the face out of nowhere. There has to be a balance... can't be so heavenly minded we're of no earthly good and all that. There's a reason Jesus was a carpenter (regardless of questions about historicity). Yesterday I built this chair. Then I sat in it and watched the sunset while drinking a beer. Have you ever exhausted yourself building a chair and had the satisfaction of sitting in it at the end of the day? It was a damn fine spiritual experience. Next weekend I'll build another for my wife. "do what thou wilt" I'm not telling people what to do, or to stop doing what they are doing, its just a bit confusing people would waste there time listening to a hack like shermer for 10 years, wasting hours of their life for him regurgitating his nihilism. Life does have many rich experiences, but to make a distinction between the earth bound rich experiences being dangerous or the spiritual realm experiences being dangerous makes no sense. Nothing on this Earth is guaranteed, especially life. Who's to say we can't fix some of our worldy problems through the astral realm? I'm just curious why some people here and not prioritizing their time with their "interests" or "hobbies" ? Why gain all this knowledge and not apply it or at least try to apply it? What could you take out of your life to make space for testing out your theories? As for Jesus, I take it you are a Christian, I'm a biblical atheist and don't believe Jesus existed and his story is purely allegorical, the same with his occupation of a carpenter. In fact there is more evidence jesus trained under various different occult/religious sects for many years before preaching his "gospel" I'll post something in a bit about that. Sounds pretty self-focused - no offence. Self focused is fine, not everyone has kids or wants them, sounds judgmental doesn't it? I do actually want kids, but I am young and half a lot of things I want to do then have kids right now. I got a trip to Croatia planned.....can't wait. I truly do get it, some people are just born to be "average"
I read that the real problem with the AWARE study, was that it was really difficult to get a sufficient number of shelves placed in the right places in hospitals. This sounds trivial, but imagine - getting permission to add anything to an operating theatre is probably hard because of issues like infection. Many of the cardiac arrests happened in other parts of the hospital where shelves had not been placed. I don't think ANY of the patients would be told what to look for - they were all very sick patients - before and after the arrest! I find myself wondering if they should be told anything about the existence of the images and if so how it should be phrased? Obviously nothing specifically relevant to the content of the image but how do you tell someone going in for surgery, "If you happen to feel like you're leaving your body and then you actually appear to have left your body, could you be so kind as to keep an eye out for our mystery image up there? None of have seen it and we're really dying to know(pun points!)." The thing to remember, is that a lot of people have NDE's and observe stuff relating to their specific resuscitation - one man had lost his glasses after the event, but told a nurse that he had seen her put his glasses in one particular place during the resuscitation - and bingo - he had his glasses back. Yes. I've read about a number of cases like that. There was one in The Wisdom of Near Death Experiences by Dr. Penny Sartori involving a nurse misplacing a patient's dentures. The patient saw her put them in a drawer during his OBE and was able to tell her so when she couldn't remember where she had placed them afterwards. The only reason such events are not treated as evidence, is because there is a theory that people in cardiac arrest might still have some residual brain function AND be able to observe something and/or hear something AND remember it! How much can you see while receiving a dental procedure? In that situation you are awake and not in excessive discomfort. There is a group of people who simply push scepticism beyond limits - forcing people to place special shelves above hospital beds - and then forget to mention that the real problem was the logistics of doing that! Yeah, but I sympathize with that point of view. The prevailing and predominant theory for them would be in need of radical revision if human beings are immaterial beings. I'm more in that camp myself but there are still times when I tremble with uncertainty or am struck dumb by the implications of exactly what it means for each one of us to be an immaterial, partless, being. The above sentence reads: [I'm not judging], [judgment]. Completely agree. Adventure calls. Curiosity killed the cat. YOLO. Become the most interesting person you can or die trying. 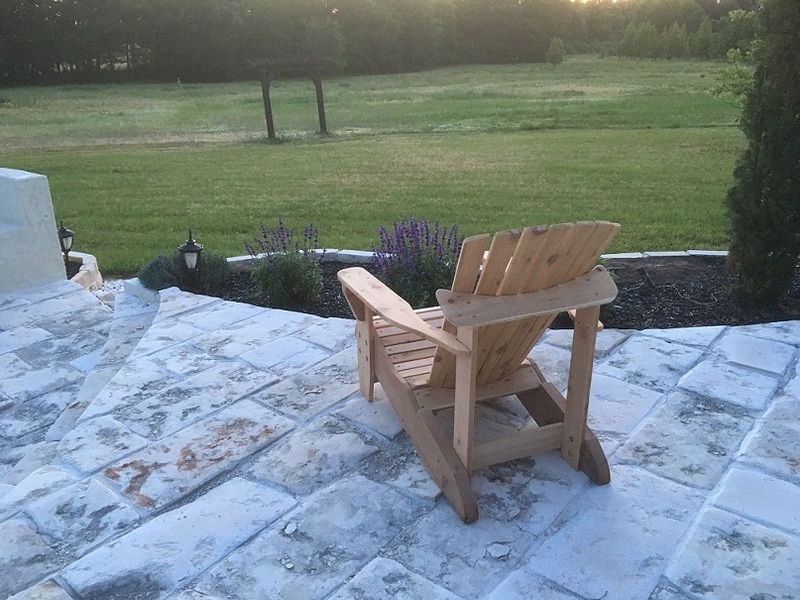 ...at least while you're young before your body craps out on you... and if you did a good job while you were young, you'll have plenty to talk about when old and sitting in your chair (ideally one that you built yourself while you were younger). Alright... you guilt tripped me into it... I know I've needed to get back to my practice for a while now... I've sinned. I'll get back to meditating, dream journaling, and staring at my hands throughout the day. ...I said "regardless of historicity". The archetypal hero or the archetypal good mage always has a deep earthy connection to something like carpentry, or agriculture, or animal husbandry, or nature. Being grounded in the simple things and a good study of the balance of nature is what gives the archetypal hero a calm center and the wisdom to see when things are out of balance. The archetypal evil magician is not grounded in such simple things and so falls off the edge into insanity or psychopathy in an all consuming pursuit of raw power. LOL! On a serious note building stuff is awesome, my grandfather loved to build things by hand. Its rewarding and teaching patience and attention to detail and its a meditative experience. Westerners generally think meditation is sitting around all day, there are dozens of ways to meditate for example just walking. I've been itching to build something, never got around to it 24 hours in a day is not enough! I think it is terribly difficult, I mean a study like this can never have much priority in a hospital dominated by the materialist viewpoint. I think there are a huge number of such cases - indeed this is what inspired the AWARE study. First, my view is that it is important not to cling to any new understanding of reality as if it were a new religion - forcing yourself to believe. It is better to be radically unsure.Most of us won't know for sure until after we are dead! You want to do a “great work”. Why? Can you give me some sort of potted notion of what they know/discovered/embody, that makes them superior? Yeah. Thing is, with Idries Shah, he does tend to heap on the mysteriousness a bit and one may get the impression that the Sufi way is the only way, but a careful reading should dispel that. If memory serves, He speaks of the Kabbala and Christian mysticism, for example, and I think he indicates that they can be functionally equivalent to Sufism. He also points out that real schools aren't that concerned with the religion of their adherents: they may be Muslim, Christian, Hindu, Buddhist, you name it. He distinguishes Sufism from Islam and all religions, saying that Sufism has long (always?) existed, well before any of the current religions (which, in a way, he indicates that Sufis invented). The transmission requires constant reformulation as cultures change, and he reckons many schools are functionally ineffective at the present time, such as the whirling dervish order started by Rumi. Apparently, the dance was in part designed originally to stir up the rather phlegmatic people in the Konya area of present-day Turkey. He reckoned the time is about ripe for a contemporary Western, almost secular formulation, but doesn't really say what it is or how to find it. Some people think he introduced it, but that's a controversial point. I don't think "superior" is quite the right word. Sufism, after all, stresses humility; but still, I can see what you're saying. If you read past the bits that hint at superiority, he does in fact supply a lot of information consonant with what you'll find in other sources. I think the potted version of what Sufis know isn't that different from what is known in other traditions, but usually spoken of with an Abrahamic, rather than a Hindu/Buddhist, nondualistic gloss. They concentrate, I'd say, on the ultimate aim being the complete annihilation of the self in God. Enlightenment seems to consist in the realisation that one has no choice but to comply with God's will -- of one's own free will, if that makes sense. One only has choice as long as one has an ego or lower self (nafs). Lose the nafs, and one loses the choice, or at least the desire to make one's own choices; at least, that's my understanding. Getting to this exalted condition requires that one goes through a number of stages or makams (often said to number seven), though one can sometimes experience transitory states in which one has glimpses, known as hal (which can come quite spontaneously), of such stages. The difference is that in a makam, the state is fully integrated and no longer seems remarkable. There is no necessary condition for experiencing psi phenomena, though some people are said to do so. Shah reckoned that not a few disciples fall by the wayside when they become too attached to the possession of special powers, and claimed that anyone specifically seeking such powers probably isn't suited to the Sufi way. Incidentally, he says that all Sufis agree that ordinary human love can lead to enlightenment, and that a few people are born as Sufis but may never know it, leading what appear to be quite ordinary human lives. That kind of contradicts the superiority idea. I sometimes think that his somewhat haughty approach was a ploy to get people to notice their own hidden desire for feeling special; as long as one has that, one isn't going to be able to make much progress. Reminds me of the (Buddhist?) aphorism that goes something like: "Before enlightenment, get up, go to work, come home, go to bed. After enlightenment, get up, go to work, come home, go to bed." What changes is completely internal to the disciple and unnoticeable to most observers. Allegory plays a heavy role in Sufi teaching, and Shah's books are liberally sprinkled with it. Allegory has to be used because ordinary descriptive language can't convey meaning in the quite the right way. He also hinted at many exercises, maintaining that they aren't applied in all cases, but are specifically prescribed according to the status and capacity of the learner. Everyone's training schedule is different, and only a master knows which exercises to apply. Exercises may involve assigning real-life tasks to students, including getting them to do quite ordinary things, sometimes for years. The idea of Sufism that he puts forward is of a living, adaptive system rather than one that is fossilised (like that of the whirling dervishes, or conventional religion in general). Any time you see schools that encourage the wearing of archaic robes, engaging in collective chants that are the same for everyone -- and the like, you've probably enrolled in an archaeological society rather than become involved in a genuinely developmental school. Finally, I'd opine that Shah stresses the difference between emotionalism and development. He reckons that, whilst a certain amount of emotionalism is inevitable in human beings, it isn't the real point. Schools that encourage emotionalism (I think of things like Pentecostalism, speaking in tongues, New ageism and so on) aren't much use developmentally, although they may contribute to societal cohesion. What can I learn from Shermer, what can any of us learn? Really let's ask the "hard' questions. In fact, his whole answer to the last questioner is worth listening to: start listening with her two questions at 1hr 11m 44s approx. Don’t wait for this Knowledge and Truth to be brought to you via TED, Oprah, The NY Bestseller list, mainstream “science”, let alone any politician or celebrity-style spiritual gurus….and don’t believe me either….find out for yourself! But I suggest you not ridicule/judge – or have an “opinion” about – something until you have sincerely researched it yourself … which, in this case, also implies sincere esoteric self-work in order to perceive these forces directly, to “see the unseen” beyond appearances….and to ultimately free yourself from its influence via tapping into your own embodied connection to the Divine and Spirit within, i.e. DNA activation to reconnect with your original blueprint prior to our collective (and ongoing) genetic modification. As I have said before, you probably can't learn anything from that interview, but a few people here are just at the stage where they are considering ditching materialism - it is a big step - and they need to see their former heroes questioned critically. You can always learn something from your opponent in a debate - even if you're just learning about yourself. And many of us here are not just interested in validating a belief in Psi/Magic or the mechanics of it, but in seeing a cultural transformation in the West away from materialism. Debates between people like Alex and Michael are at the bleeding edge of that cultural transformation. You need to go to France. Sorry, my friend, you are wrong. You are referring to the (in)famous denture man case, which was first mentioned by Pim van Lommel et al. in their great article in The Lancet of 15 december 2001. Later on this case was extensively researched and reported about by me (Rudolf Smit aka Smithy) and Titus Rivas. There have been several exchanges about this case in various articles and on the internet. But Penny Sartori never had anything to do with it. BTW, the nurse in question was a male nurse, hence not a she. We have reported at lenght about the denture man in our book The Self Does Not Die (2016). In particular we highlight the nonsensical "explanations" by anesthesiologist Gerald Woerlee, also a wellknown figure on this forum. Anyway, nice of you to mention this case.